Even though Santa Fe has been named one of the best "walking" towns in America, many of us prefer (and you will need) a car to get around O'Keeffe Country -- it's a big territory spanning a corridor of over 70 miles. 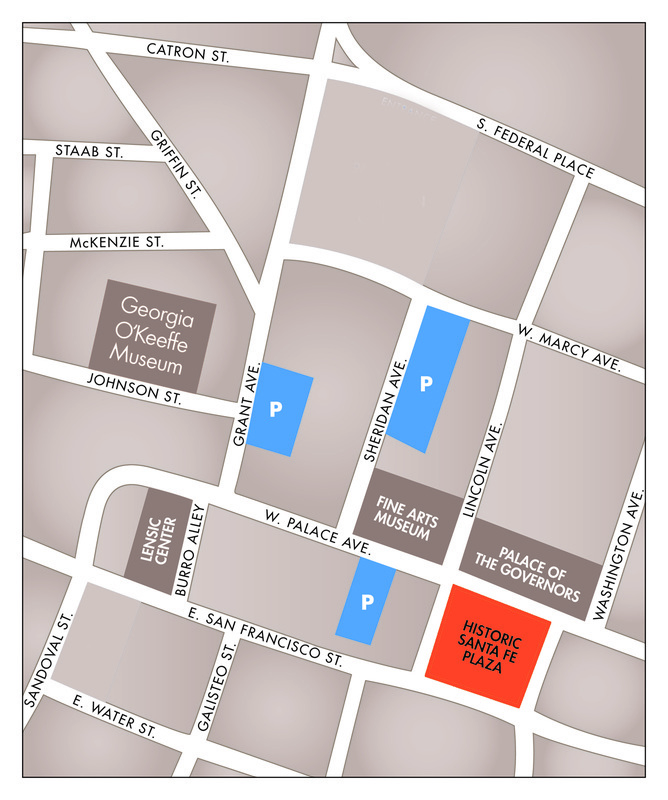 Below you will find directions to several places in O'Keeffe Country, and maps for paid parking once you get there. Click here for a great map of the region! Grant Avenue is open 7 days a week. Sheridan Avenue is open 7 days a week. West Palace Avenue is open M-F, after 5 PM.